The official video for Bound to Lose! The official music video for the song Bound to Lose by Johnny Rex. We shot the video during 4 weeks with no budget what so ever but we put a lot of time and effort into it, so feedback is appreciated! Directed, filmed and edited by: Daniel Lindqvist & Linn Bergström from TwentyFrames. Hello everyone! Time for some updates. First of all - our album is now on spotify. Follow this link to get to it! The other thing we would like you to know about is our new video that our own man Claes has put together. It's a smashing football video for Hold it and it is avalible in the media section. Just click here to get there! We will soon put up some merch too. Just keep your eyes open and while you wait you can always follow us on our facebook page. 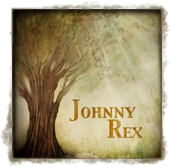 Johnny Rex debutalbum on iTunes and Amazon! Yes, it's true! 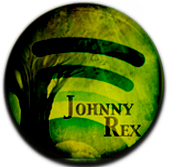 Johnny Rex's self-titlet debut album is now avalible for download at iTunes and Amazon. And - from now on: Johnny Rex + Flying A = True. A lot of things going on guys! Check out the two new clips in the media- section and stay updated on our facebook- page! One other thing! Isn't the new design on our homepage just fabulous?